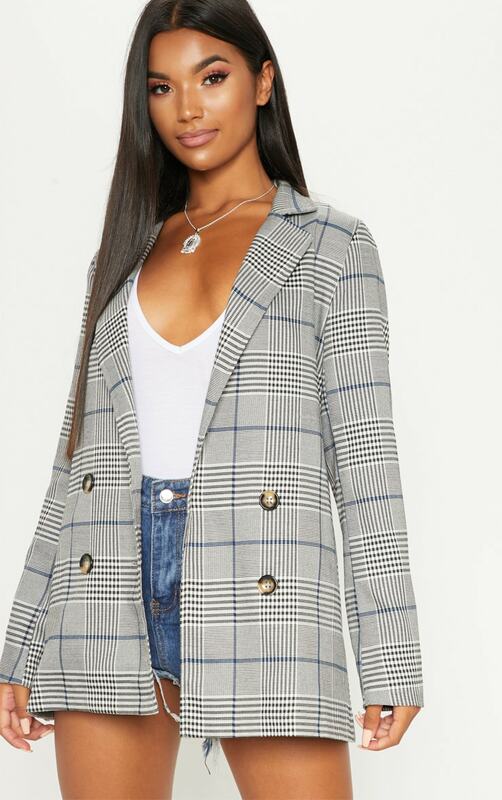 This blazer is an ultimate must-have to elevate any look. 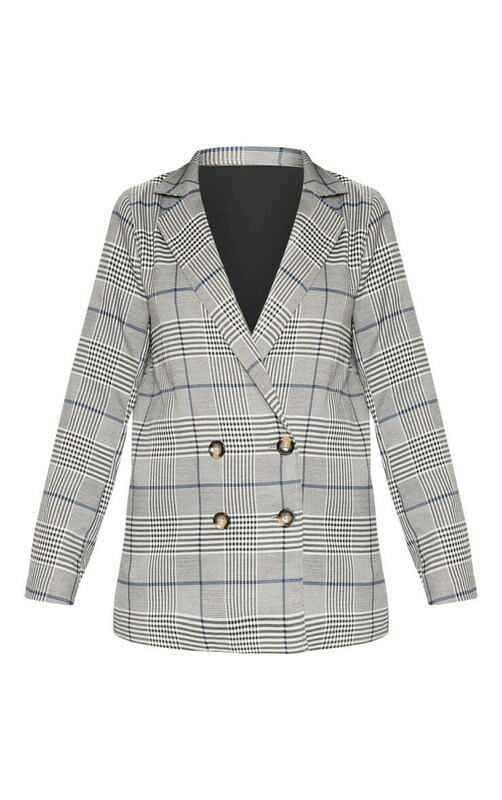 Featuring a grey material with a checked design, a button fastening and a loose fit. 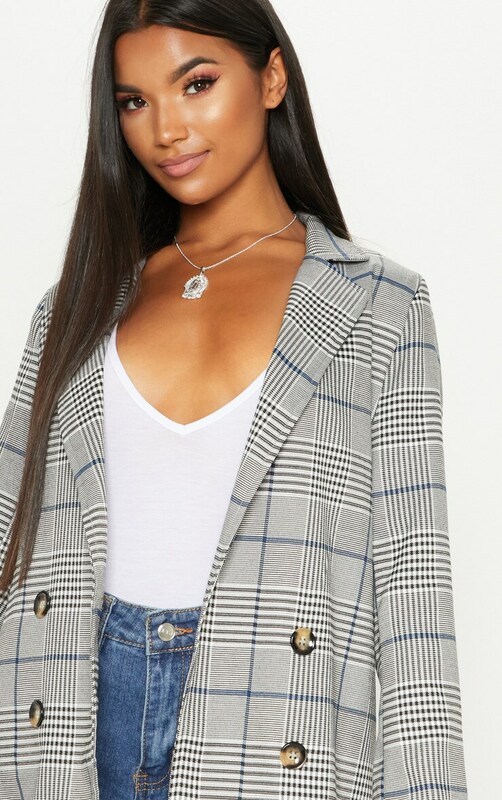 Team this blazer with some denim shorts and heeled boots for a day to night look we are loving.